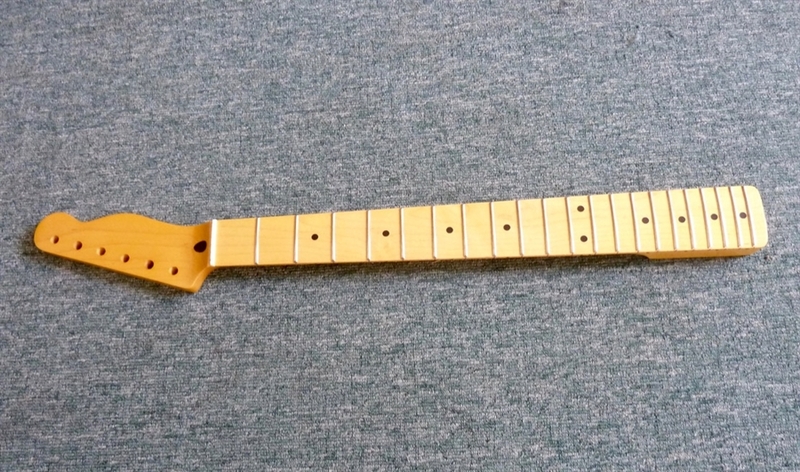 This is the best 1950's NEW neck I have seen. It has vintage cellulose finish, one piece grained maple, skunk stripe, cross thread truss rod (just like the old pre CBS Fenders), 9.5" radiius, near jumbo frets at 2.9mm. 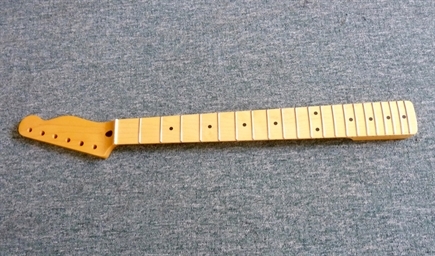 C profile neck, with a hint of V. 42.10mm nut, 56mm heel, 21.50 at 1st fret, 21.60 at 12th fret.8mm tuner holes. Great price at 77.00.